SHOP. DONATE. VOLUNTEER. 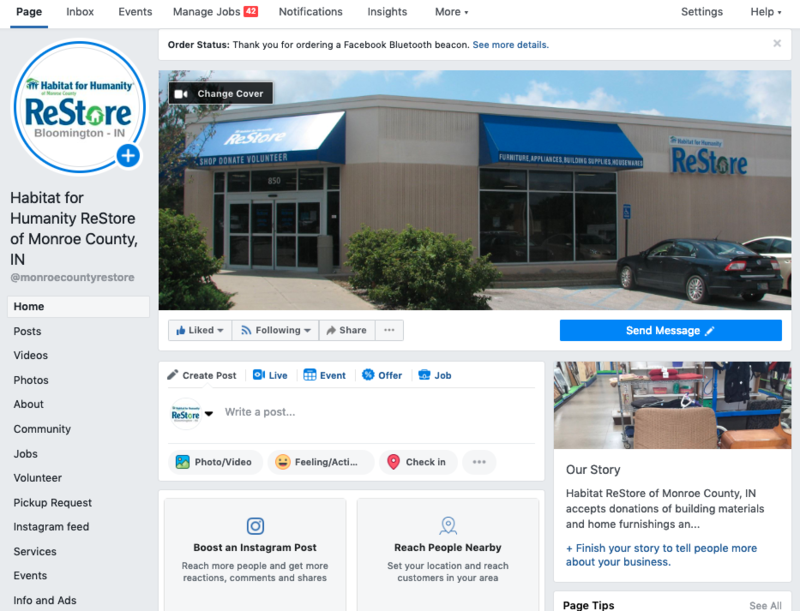 By selling donated construction and home improvement items the Restore achieves its mission to increase the number of homes built in partnership with families, to prevent usable items from being put in landfills and to provide quality building materials to the public at discount prices. Each purchase helps make decent, affordable housing a reality for many deserving families. Habitat ReStore accepts donations of appliances, furniture, cabinets, building supplies and more. Your donations are tax-deductible and help Habitat for Humanity of Monroe County build more homes for hardworking, low-income families in need. 850. S Auto Mall Rd. Have a larger donation that you cannot bring to us? No problem! For more details or assistance scheduling your donation pickup, call us at 812-331-2660. Don't see your item listed? Please call us at 812-331-2660.
Business Donations are very much appreciated. Watch the video to learn how your business can benefit from partnering with Habitat ReStore. Like us on Facebook for inventory updates, sales, and more information added and updated daily!